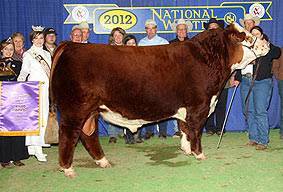 Trust is the 2012 NWSS National Champion bull & Supreme Champion Hereford! 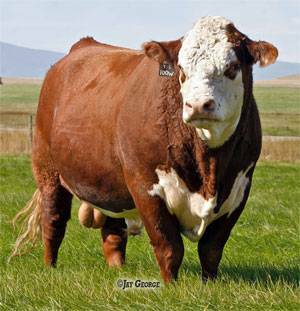 Breed leading genetics with extra pigment, shape, style, eye appeal and balance. 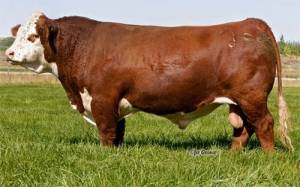 Trust is used heavily in the NJW breeding program. 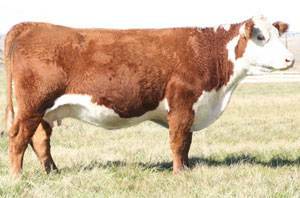 His dam is a beautiful, elite P606 daughter backed by a cow family known for superb udders and the ability to produce at the top every year.